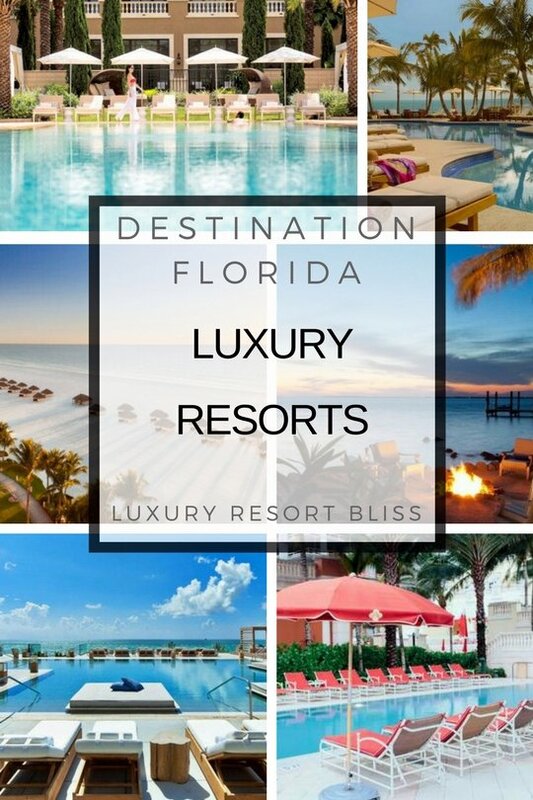 If you're looking for a great luxury resort in Florida, you've come to the right place! 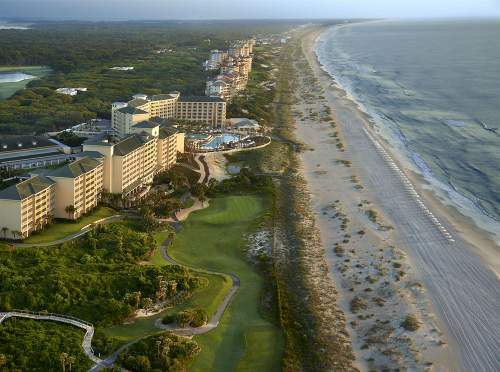 On this page, we've listed our top Florida luxury resorts. Florida is likely one of the first locations you will think of if you will think of if you are considering a beach vacation or family vacation resort. Florida has it all (or most of it) when it comes to great natural assets and tourist attractions. 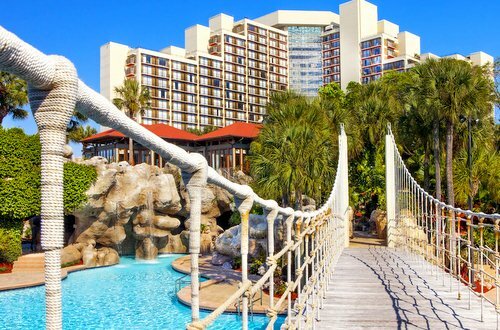 One of the new sensations in our Florida luxury resorts bliss list is the Four Seasons Resort Orlando At Walt Disney World. Located at the Disney communities gate this resort leverages it's position well with style and elegance. Close competition for the title of top Luxury resort in Orlando Florida is the Ritz-Carlton Grande Lakes. Orlando as you would expect also has a good supply of family vacation resorts. Some of the best of these include Disney's Grand Floridian Resort And Spa and the grand Cypress. See the Orlando Vacation Resorts, Orlando Family Vacation Resorts and Orlando All Inclusive resorts. 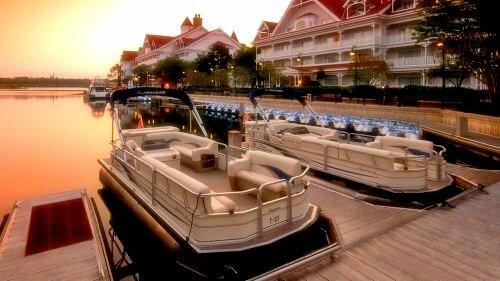 The best of the Disney luxury resorts in Orlando in our ratings is Disney's Grand Floridian which is within Walt Disney World, at the Seven Seas Lagoon. Miami is near the top of the pecking order when it comes to luxury resorts in Florida. 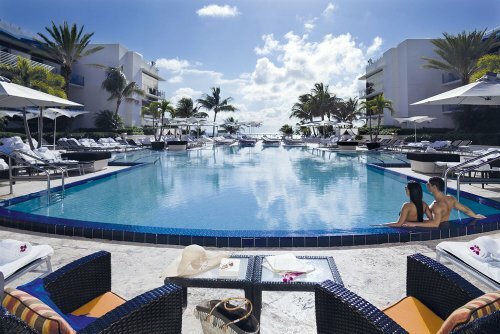 We could not go past the The Ritz-Carlton, South Beach in our list of the top Miami Luxury resorts. Another classy joint is the Vanderbilt mansion which was built in 1925 and then turned into the Fisher Island Club. There are many more wonderful resorts in the Miami not the least of which is the Sunny Isles Beach area complete with it's clear water reefs and sandy beaches. 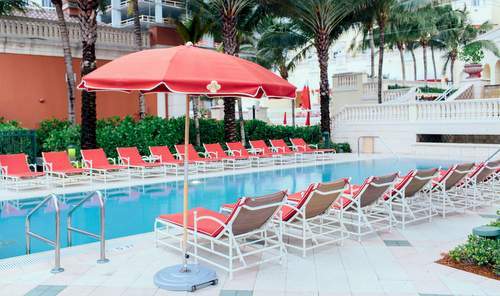 If you are down that way check out the Acqualina Miami Resort and Spa Sunny Isles Beach. The Breakers Palm Beach, known for Italian-Renaissance charm is one of the most famous luxury resorts in Florida and is one of the classic, original properties of this type. 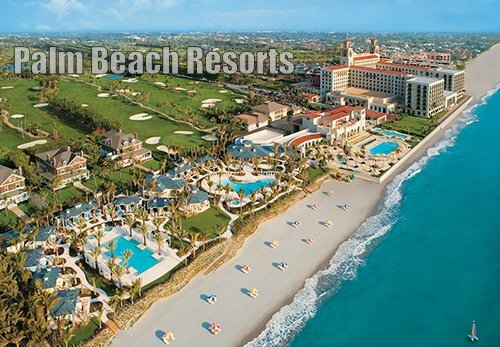 There are other great Palm beach resorts. 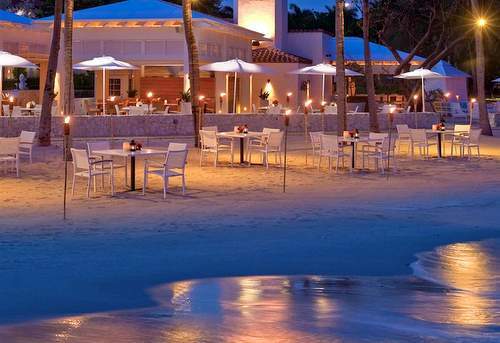 The Four Seasons Palm Beach Resort has been built more recently but is in a similar class. The Florida Keys is known for it's laid back relaxed lifestyle but that does not translate to a lack of great luxury resorts. In fact, some of Florida's top resorts are located here. 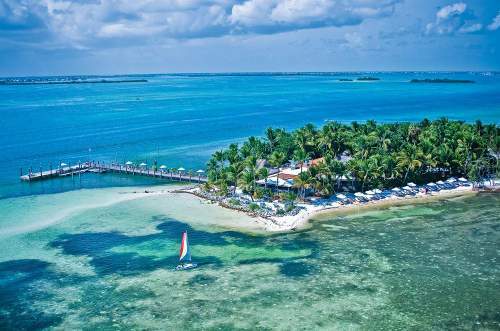 Parrot Key Hotel & Key West Resort are in a fabulous beach locations in the seriously chilled out destination of Key West Florida. Personally we find it hard to go past Clearwater as a luxury destination in Florida. This is such a great vacation spot located in the Gulf of Mexico in the southern Florida. The Hyatt Regency Clearwater Beach Resort is one of a bunch of great Florida luxury resorts which fringe the waterways and beaches of the area. 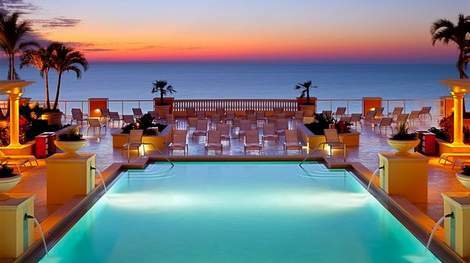 The best Florida beach resorts are not always located in the south of the state, as the Omni Amelia Island Plantation Inn proves. This is one of the most complete destination beach resorts you will find in the golden state. 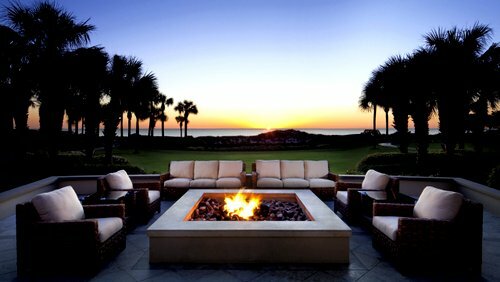 Also on our Jacksonville area resorts review you can find out about the magnificent The Ritz-Carlton Amelia Island Resort. 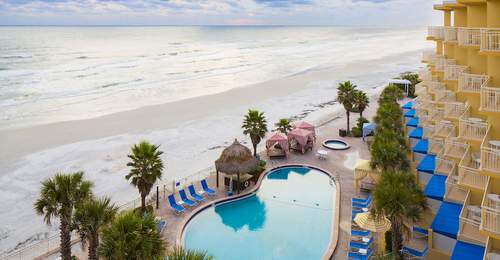 When it comes to luxury resorts Daytona barely makes the cut. But there are a number of other redeeming qualities to the worlds most famous beach (formerly speaking) which make it a great holiday destination. Hyatt has some good luxury hotels in this part of the country. 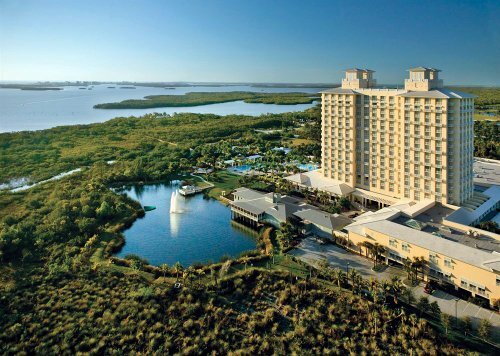 We found the Hyatt Regency Coconut Point Resort And Spa was our top choice for a luxury resort in Naples FL. While there is not a huge variety of luxury resorts in Cocoa Beach the lifestyle there is pretty enviable.